So here’s my question. 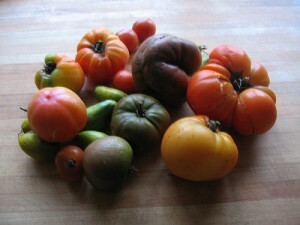 Using only current trends (ie it’s fair to assume more genetically engineered crops are introduced in the future, but not that congress will pass a law requiring all farmers to plant them), can you make an argument for how the organic industry could be wiped out in the US, by genetic engineering or anything else? *Whether that’s a good or a bad thing depends on whether you think the environmental benefits of organic farming outweigh the long-term downsides of defining good farming not with science, but with what feels natural. 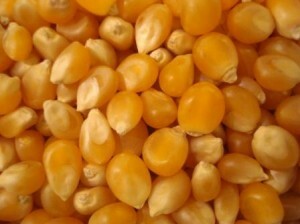 **The majority of the corn kernels we eat are made up of the endosperm and embryo. Both of these get DNA from the mother plant (the one the ear grows on) and the father plant (the one whose tassel shed the pollen grain that fertilized the single corn silk attached to where that kernel of corn would later develop). A kernels of an ear of sweetcorn can each have different fathers, but if enough of those fathers were field corn, you’ll know it, because the father’s DNA will provide a working copy of the gene that lets corn kernels turn all that sugar that makes sweet corn sweet into starch, so your sweetcorn would’t taste sweet at all. The vast majority of the corn grown in the US is fieldcorn, yet I don’t think anyone would argue the sweetcorn industry is being hastened towards towards its immident demise. For more about the genetics of what makes sweetcorn sweet, read this discussion of the shrunken2 gene. I’m out in the hallway while the first of my two sections fills out their reviews of me as a GSI (graduate student instructor). There are more differences in the genomes of two unrelated corn plants than between the genomes of a human and a chimpanzee (two species separated by 3.5 million years of evolution). On the other hand, two unrelated human beings, members of the same species, have more than four times as many genetic differences as two unrelated heirloom tomatoes. Now the fact that any two human beings are more closely related to each other than either is to a chimpanzee should be obvious to anyone who gives it a moments thought. I plan to poll my sections tomorrow to see how many of them would put corn and heirloom tomatoes in the opposite positions, but many have figured out my feelings about corn, so they’ll probably guess it’s a trap. 1.1 pound peach from the Berkeley Farmer's market. Here. I had no idea anyone was even considering sequencing the peach genome until I heard a single off-hand comment at the maize meeting last month, and all of the sudden here it is. And in better shape in its first release than some genomes are even after they’re published. 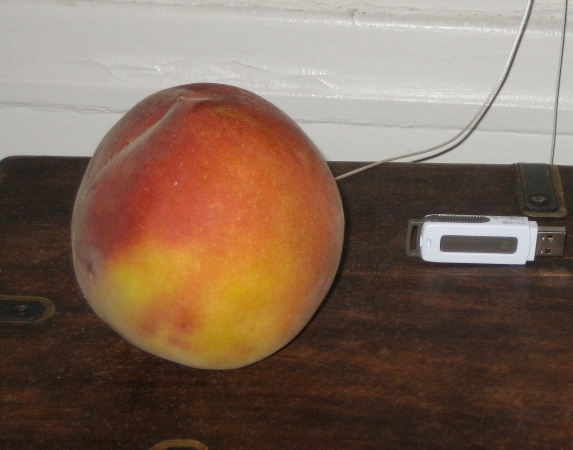 *In short, you or I can download the peach genome, play around and study it to our hearts content, but we can’t publish anything on it until the people who actually sequenced the peach genome publish a paper describing their work. 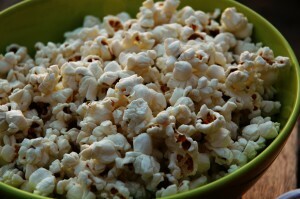 It’s got fewer calories and less fat than popcorn, and best of all, it has no hulls to get stuck in your teeth! Website is very slick with lots of text recycled from page to page and without many confirmable details and you can’t actually place an order but the story stops just short of the being outrageous enough to be an obvious april fools prank. I’d like this to be true (even though they use organic sorghum) because I’m almost as pro-sorghum as I am pro-corn, but I don’t even know if sorghum can be reliably popped. If you were ever been bored enough as a kid to try popping sweet or field corn, you too know what an unrewarding experience it is. Science and Nature become one: “readers will have the option of Skyping authors directly to share their thoughts and feelings about a paper simply by clicking that author’s name” Cover of the first issue of Natural Science.